This is a full working Open World RPG with quests, fighting and crafting. The initial version was developed for the PAS RPG Contest, which the game won in January 2012. Over the course of a year, additions and improvements were made. Level Design, Graphics Design, 3D Models, Coding and Quest Design were all done by Rick Hoppmann. The Music was composed by Corey Clarke. Have fun playing and tell me what you think! 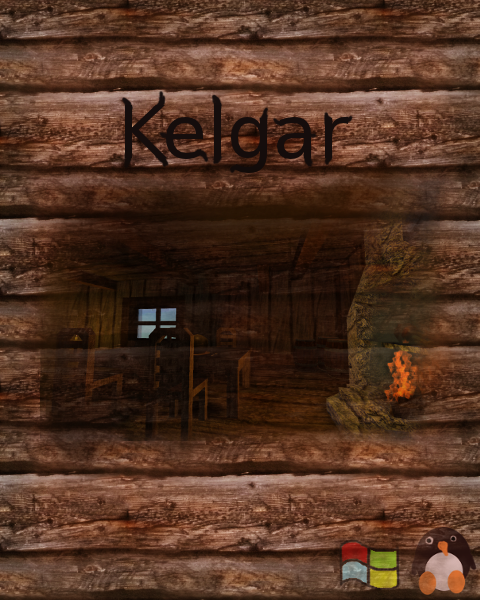 Although we've been quite recently, we made quite some progress on the new Kelgar. Yet such a game takes a LOT of time and work and we still have a road ahead of us. That's why we took some time to create a tiny, wonderful game with the same engine. 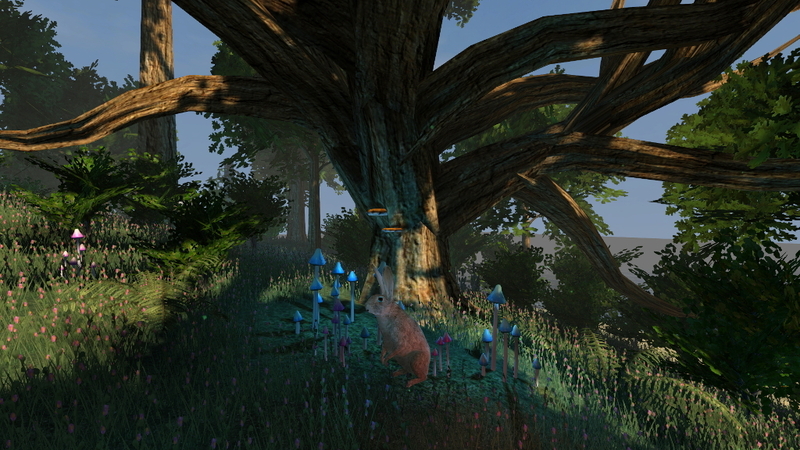 You explore a tiny, remote island filled with a wonderful forest and crazy characters. Meet an old researcher lady, talk with a rabbit and sit by the fire in your forest home. The tiny, magical isle is estimated to be released at the end of June. Be sure to head over to the games IndieDB and watch it so you don't miss out on the release! This time on Kelgar's Development Diary, Miamelly talks about the new music and both of the upcoming quests. In this post I'm going to update you guys on the progress on the new valley map! I know it's an early build, but the one I'm running 1.0 has a heavy amount of geometry problems which makes it nigh impossible to get to certain places in the game. I thought I would just let you know in case you were unaware of them. Nearly all of the geometry has been rebuilt, so these problems should be mostly fixed in a future release. Thank you for your feedback :) It's always motivating to read such comments. A controls menu is already on the todo list, since there was some confuse on that in the last release. You won't be able to name your character - we're aiming for having an avatar with personality. You mean that some textures repeat too often, don't you? I hope this succeeds for you guys. I am trying to make a game myself and I am learning very quick how much tenacity and passion needed which hopefully I have to get a demo finished. I am looking forward to seeing your progress over time. Good luck!!! So my very first time trying this out, I didn't bother to look at key bindings. I walked up and wen to talk and right-clicked my mouse. It so happens that it is attack; I hit the first NPC and was killed by his animal. I'm pretty sure that's a fail on my part, pretty badly. XD epic fail dude... we'll have to add a breif tutorial or something.